Remember the Sympetrums? 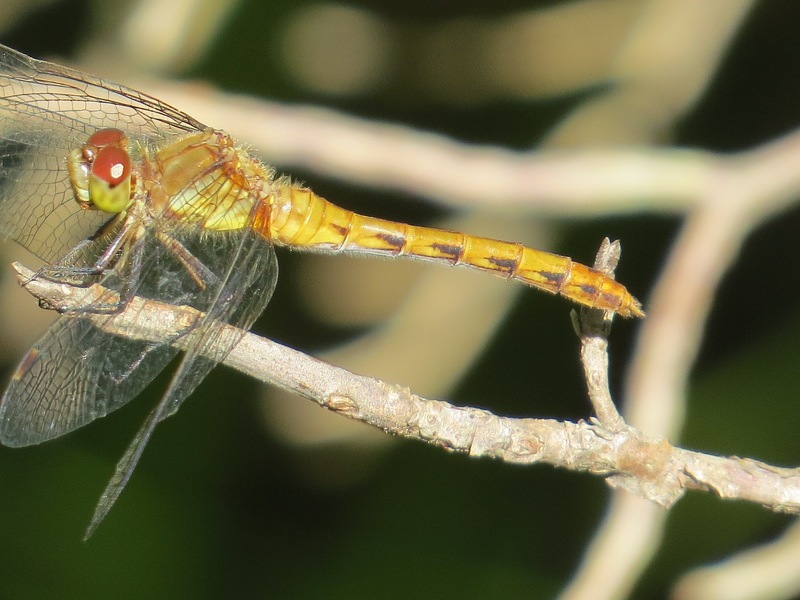 Devilishly confusing meadowhawks. 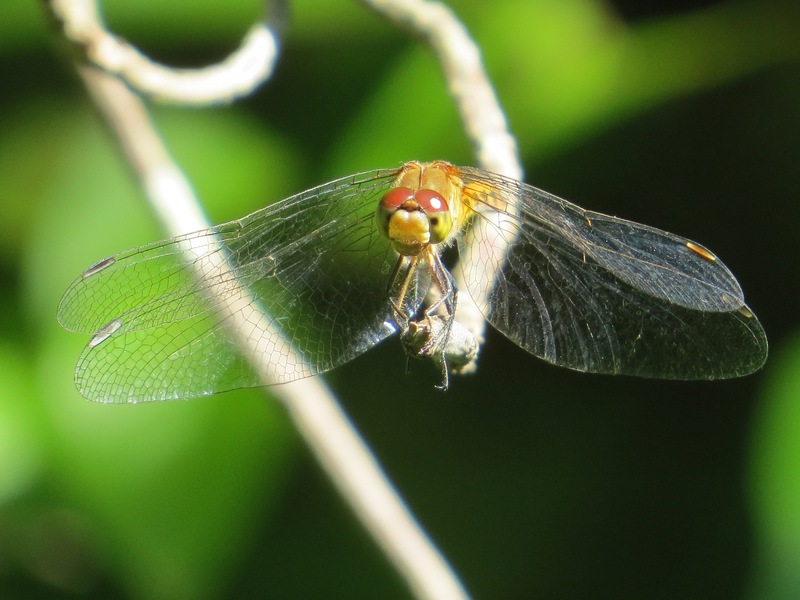 This a female; possibly a Ruby or Cherry-faced. 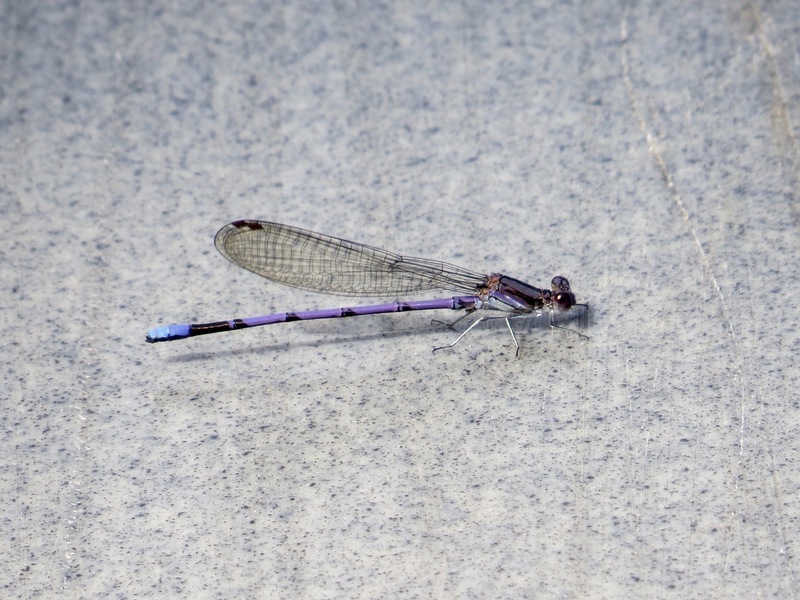 The Variable Dancer (Argia fumipennis) male is uniquely patterned with purple and blue. They are also called Violet Dancers. 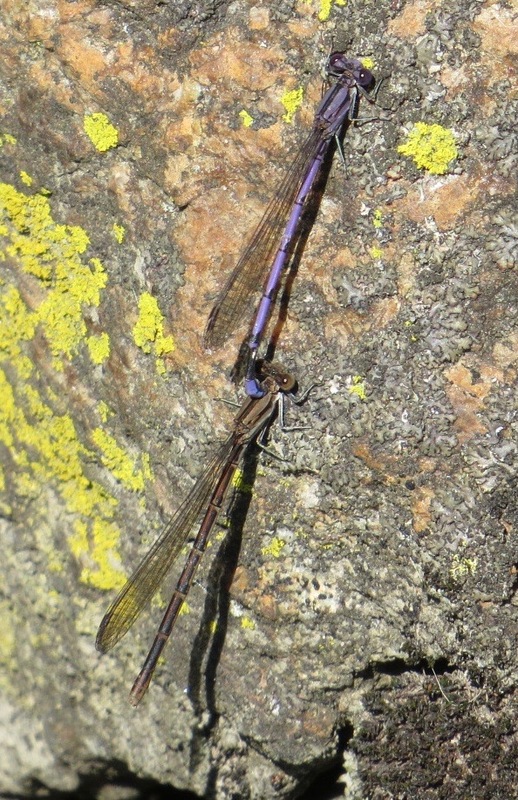 A male has a female in tandem flight position, either pre- or post-mating. 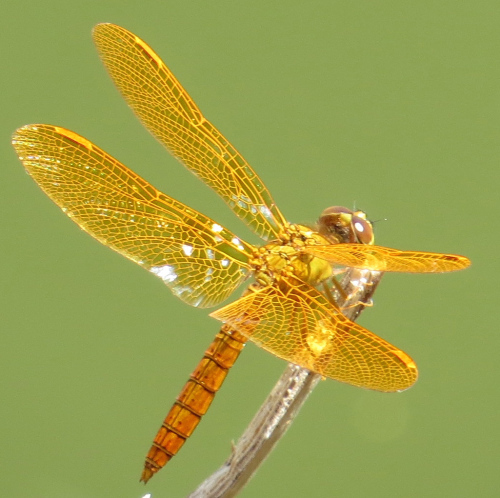 This is another species I’m seeing for the first time this summer; spotted in Westchester Co.
A bonus in the archives: looking over some of my old posts, I realized I had never identified this specimen from Arizona: Mexican Amberwing (Perithemis intensa). 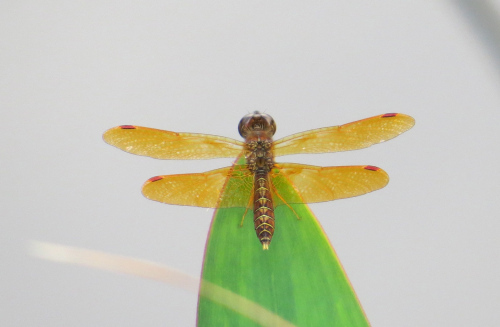 Here’s our Eastern Amberwing (P. tenera) for comparison: Some differences: Eastern has smaller, redder pterostigma (the colored panes on the leading edges of the wings); Mexican lacks markings on top of abdomen. These are both males: Eastern’s graspers, at end of abdomen look much lighter.